Bridget Downing and Amanda Davenport negotiate the food table inside! 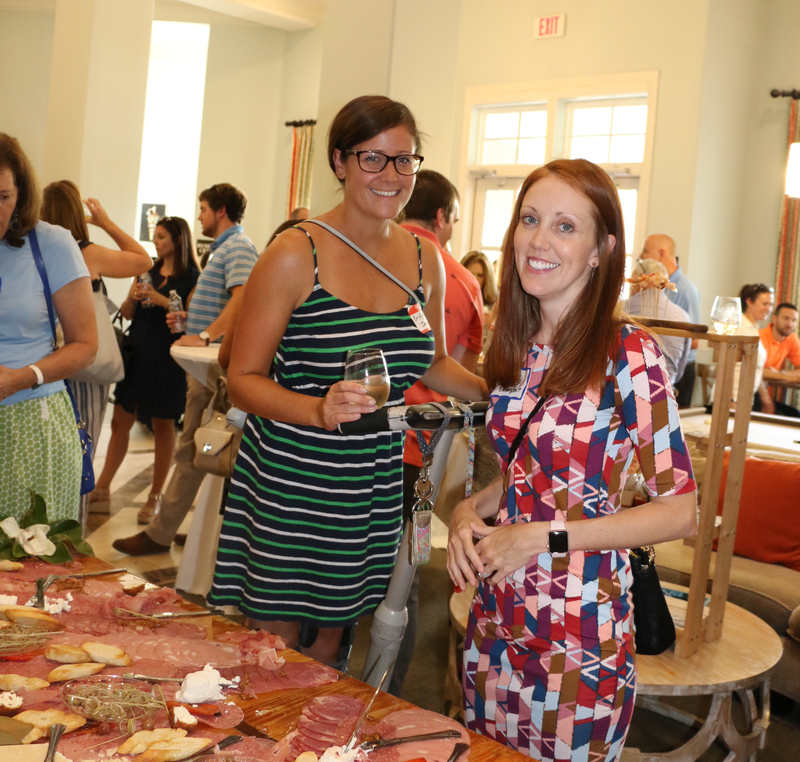 Meet the June Block Party sponsors: Bret Galloway of Salle Galloway, Michael Dew and Molly Graham of Taylor Agency, DIBA president Chuck Lattif, DIBA membership chair Pete Harper, and Dina Mewett, Director of Sales and Marketing at Summit Place. Networking time! Home mortgage specialist Jennifer Morris of Wells Fargo, Dan Mykols of the newly formed Ocean Realty, and Patrick Villegas of the Tabor Mortgage Group exchange business cards.